← Lake Stevens, Washington. June 24th, 2011. New Orleans, Louisiana. June 24th, 2011. 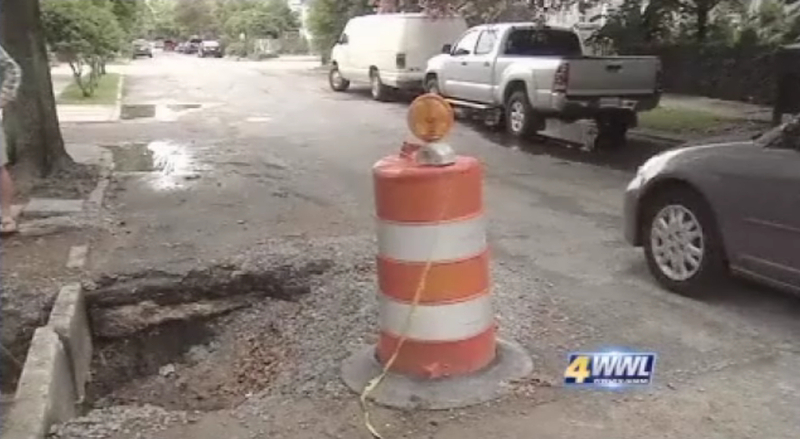 It has become the photo opportunity for passing drivers: a sinkhole in Webster Street. They pull out their cell phones, take pictures of it. They’ve been trying to get the Sewerage & Water Board to fill this thing in for the last three weeks. 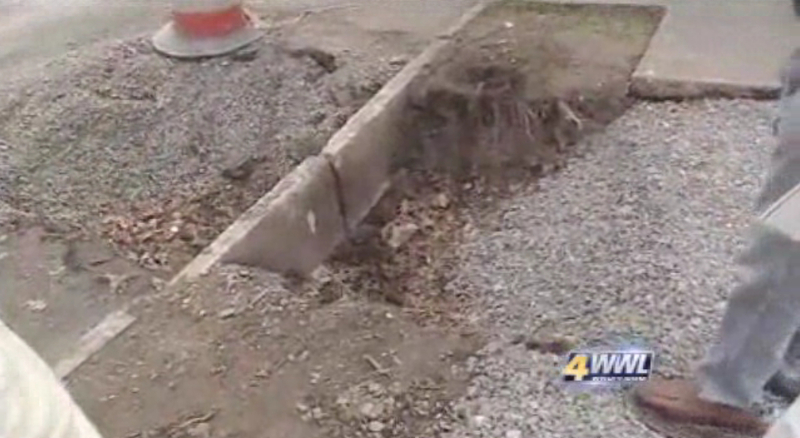 It started when the sidewalk began sinking, and neighbors say they waited three years for the repair crew to arrive. But just after the job was finished, the sinkhole appeared. 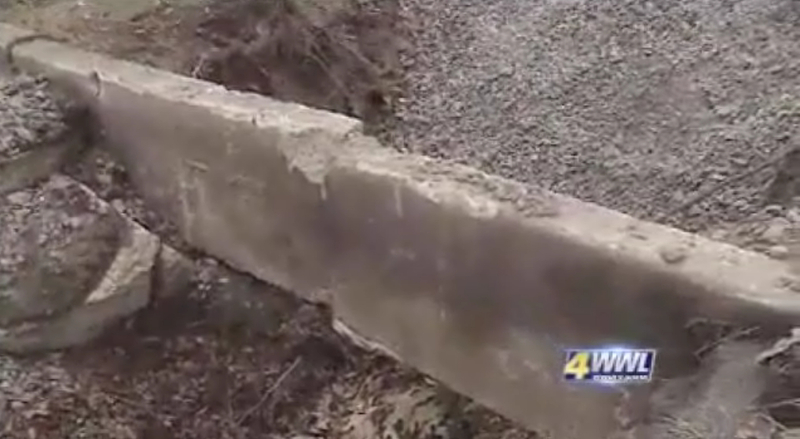 “The hole appeared probably within 24 hours after they filled it in with the gravel,” said Deborah Robinson. The 8 feet long by 4 feet wide hole is 3 feet deep. It extends from the sidewalk through the parking lane on the street. 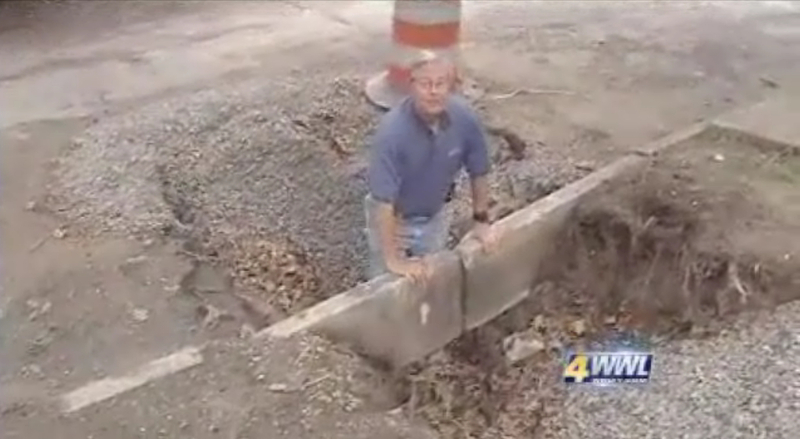 “We’ve already had two cars fall into it, and had to be towed out,” Robinson said. A Good Samaritan placed the barrel in the street to warn drivers. But when Deborah’s husband called the Sewerage & Water Board, he was told there can’t be a hole here. Well, if the Sewerage and Water Board won’t listen to the neighbors, maybe they’ll listen to me. I’m going to send them an email, ask them to fill this hole as quickly as they can. The neighbors are worried. They know this is dangerous. “We know of other neighborhoods that are going through the same thing, the exact same thing, and we feel very, all of us feel very sad for this city,” Hobson said. 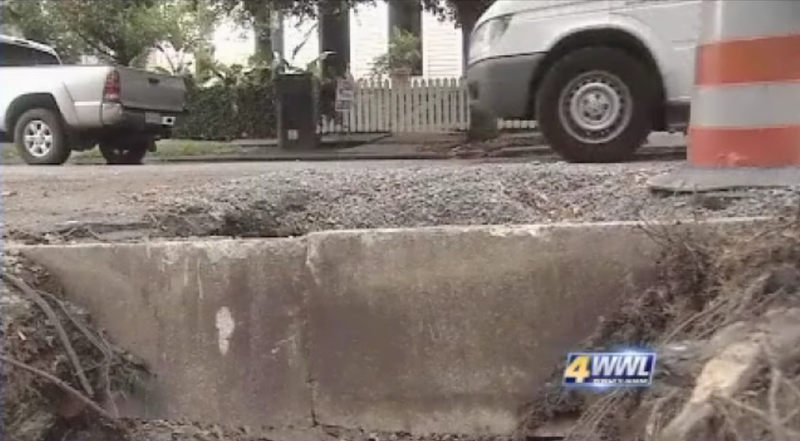 This entry was posted in Pictures and tagged New Orleans, sinkhole, Webster Street sinkhole. Bookmark the permalink.